It was down to Chinese cuisine and at Changi airport, choices were far and few. 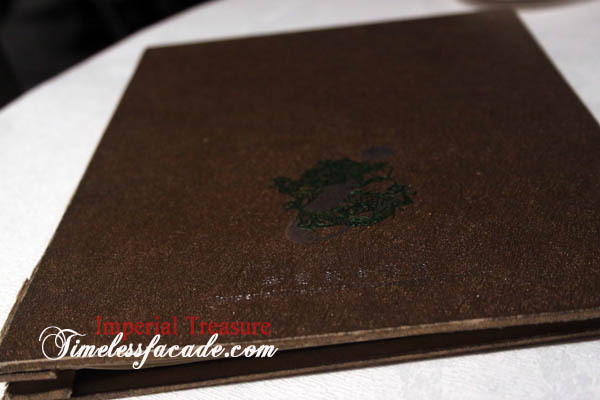 I was generally sick of Crystal Jade Shanghai Kitchen so Imperial Treasure it was. 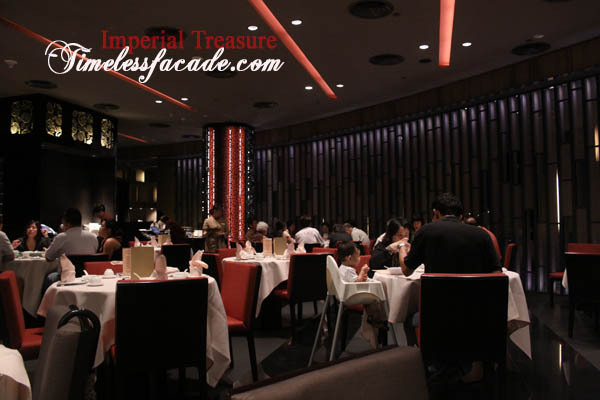 It definitely helped that I had a positive experience at Imperial Treasure Teochew Cuisine before. 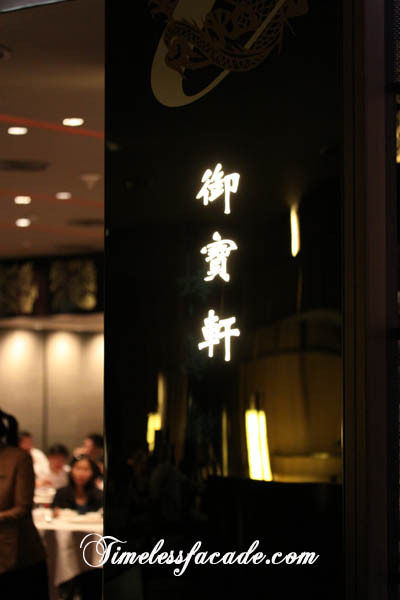 Located in the main lobby of Crowne Plaza Hotel at Changi Airport, the restaurant utilizes a dark wooden paneled facade to portray an air of exclusivity and class. Plush cushion seats amidst a carpeted flooring complete the picture. 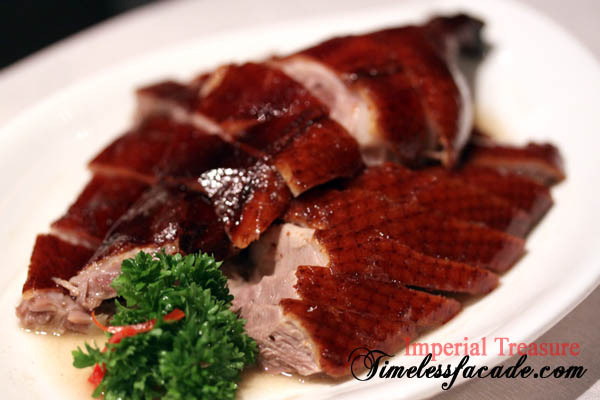 Roasted Goose - Geese are a scarce commodity nowadays, especially after the banning of birds from China and Taiwan during the bird flu outbreak a couple of months back. And I baulked at paying $30 for probably just a quarter of a goose. But I did so nonetheless and am glad that it turned out splendid. A thin layer of fat sandwiched between crackling crisp skin and succulent meat, lying in a shallow pool of oily fluid. If you are the sort to squirm in the presence of excessive oil, it would be in your best interests to steer clear of this dish. Sauteed Scallops with Truffle Oil - I loved this dish, especially with the aroma of truffle oil. The four scallops were huge, juicy and came served on a bed of lip smacking egg white. There is actually an option of having this dish without the truffle oil (its quite a fair bit cheaper too) but my advice would be to stick to truffle oil. 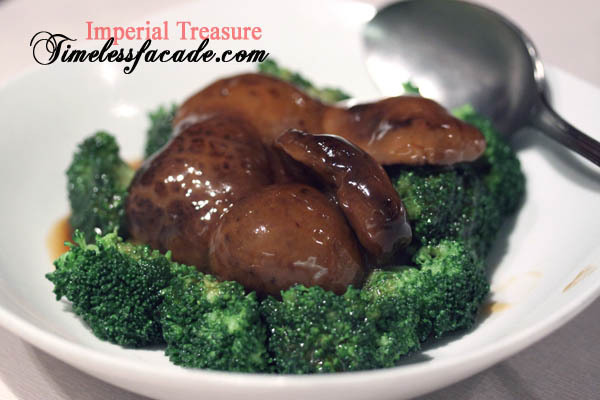 Broccoli with Mushroom - I personally thought that the broccoli was a little undercooked, rendering it a tad too hard for my liking. However the plentiful mushrooms more then made up for it and overall a very decent dish. A most gratifying dinner for 2 didn't make it past the century mark, standing at a shade over $90, which was still reasonable in my context. I did think that $3 for a bowl of rice was a little over the top though. Service was good and I can't really find any reason not to return.